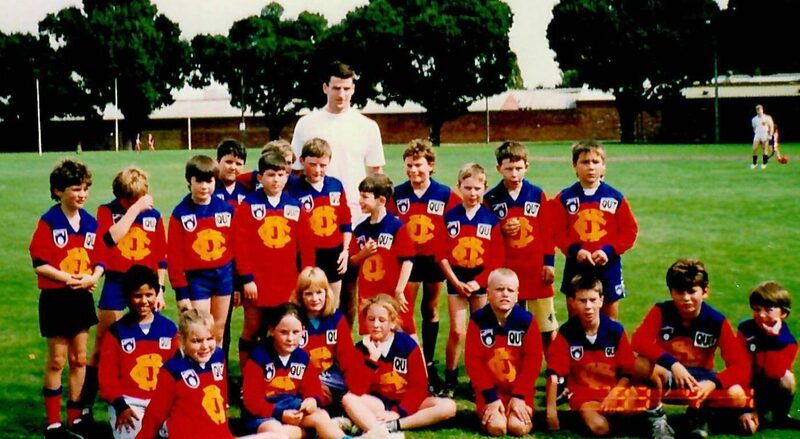 The Fitzroy Junior Football Club (FJFC) was created in 1993. Before its formal creation, Fitzroy Football Club had been holding football clinics at the Edinburgh Gardens back oval for several years. The Fitzroy Football Club donated a set of jumpers, and the FJFC joined the Hawthorn District Junior Football Club League (now the Yarra Junior Football League). The original 1993 team competed in the Under 11 age group although only one child was in that age group. Some were under 10 but most were under 9. In their first season the team kicked just 1 goal 4 behinds – for the whole season! Read this ripping story on the birth of the Fitzroy Junior Football Club by Graeme Willingham: From very humble beginnings! Click on the photo to the right to see the inaugural 1993 U11 team photos. The FJFC has progressed from those humble beginnings to being a co-tenant at the Brunswick Street ground with the Fitzroy Football Club, who play in the Victorian Amateur Football Association competition. 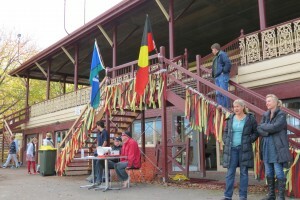 The Fitzroy Football Club has a strong and deep link with Indigenous players. A link beyond geography and the renown Marngrook clearings of Yarra Bend. As the AFL world celebrates Indigenous Round, Fitzroy Footy Club recognises our part in Indigenous Footy History. Since 2011 our club has proudly celebrated the Indigenous Round with awarding of the Joe Johnson Medal. Click on the image to the right to read more about our Indigenous Round history.